WNY welcomes the first full-service mobile vet! Buffalo Biz Journals shared the story of the new business in WNY that brings the Vet to you. 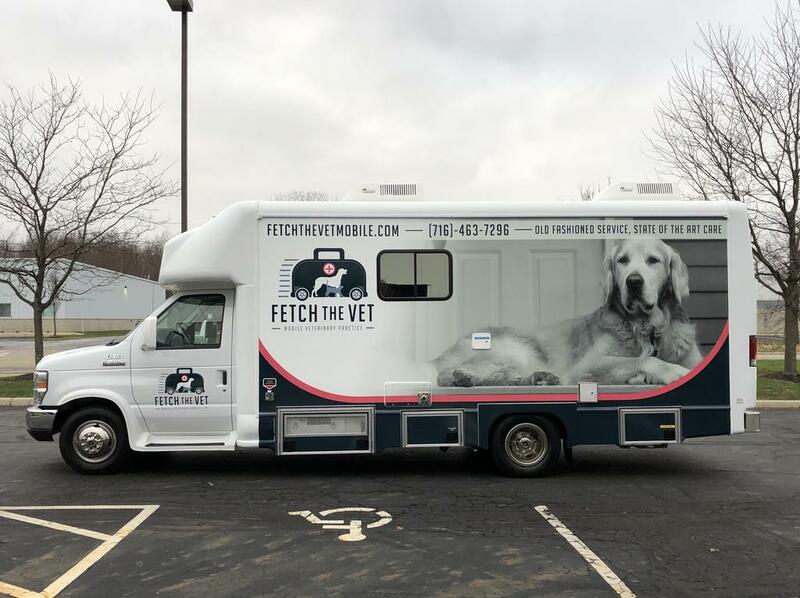 Fetch the Vet hit the streets this past December as a mobile veterinary office. They serve anyone within 40 miles of East Aurora. Some of the services offered include checkups, X-rays, surgeries, dentistry and more for most household pets. Fetch the Vet also makes it a point to be affordable. It charges a $50 fee for the house call, with an additional charge for clients further than 20 miles away, prices for it's services are in line with bricks-and-mortar vets. More then one pet? The fee remains $50 even if a household has multiple pets! "It fits with how I like to engage clients...Giving clients extra time and care and attention is important to me and technician Leigh Ann Carrasquillo"
Always great to see new business in WNY, for any animal owner this service will save you time, money, and give your pet(s) the comfort of their own home while they're under the weather. Check out the full story here!